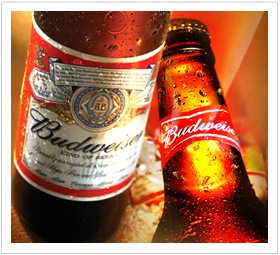 Anheuser-Busch's U.S. sales team is responsible for the retail performance of the company's popular beer brands, including Budweiser, Bud Light and Stella Artois, in more than 550,000 retail stores nationwide. The team performs store surveys to measure factors that impact retail sales, such as the quality of in-store displays and out-of-stocks. Anheuser-Busch wanted to streamline and standardize the collection of sales channel intelligence from the hundreds of field personnel the company has in stores every day. The leading brewer looked to replace a paper and spreadsheet system with a mobile solution for gathering in-store observations that would provide real-time feedback for managers and distributors. "We needed a standard way of scoring execution in retail accounts, and we found Flowfinity easy and convenient to use." Flowfinity was provided to Anheuser-Busch sales representatives across the country to conduct store surveys on their iPhone and BlackBerry mobile devices. Mobile forms and workflows were customized, without programming, to replace paper forms and reflect the company's business processes. The system was up and running in just three weeks. The 850 field sales reps can now complete store surveys on smartphones and tablets using interactive elements such as drop-down menus and checkboxes, and submit the results as soon as surveys are complete. The system works with or without network coverage, ensuring surveys are not interrupted if coverage is lost. The system is straightforward and easy to use, allowing Anheuser-Busch to train sales personnel in just an hour through web meetings. Store survey results are saved in a central operational database and then loaded into the enterprise warehouse within 24 hours. Data is consolidated and shared faster and more consistently, both internally and externally to beer distributors via the company's extranet.